When most people think of artificial intelligence, that scene with HAL-9000’s glowing red eye from Stanley Kubrick’s 1968 film “2001: A Space Odyssey” probably comes to mind. Even though that particular AI convinced millions of moviegoers that artificial intelligence was evil by refusing to open the pod bay doors, real AI is actually all around us, improving our quality of life and simplifying the way businesses function. From Amazon’s Alexa-enabled Echo to the movies Netflix suggests for you, artificial intelligence is transforming the way we interact with the world — not to mention the way the world interacts with us. Boasting capabilities like advanced data analytics, computer vision, natural language processing, machine learning, and the ability to analyze and derive value from millions of terabytes of data every single day, AI has the ability to revolutionize entire industries with its implementation. What used to take humans days or even weeks to accomplish can now be delivered in seconds — and there’s no industry that can benefit from this more than banking. Customers’ needs have changed in recent years, and traditional brick-and-mortar banking methods just won’t suffice — especially with millennials, who now number over 75 million. But banks and financial institutions are paying attention, and they’re embracing new technologies to compete in this digitized, data-driven, device-using world. Just to illustrate how vital AI technology is to banking, consider this survey: 73 percent of millennials, or those aged 18 to 35, would rather have their financial services handled by Google, Amazon, and PayPal rather than their own bank. Yet, millennials want their banks to better understand their needs, with 60% saying they want a financial partner not a financial parent. The real problem is: banks just aren’t delivering compelling services that create more value for the customer. Once adopted, artificial intelligence can help solve many of these issues with a holistic, 360-degree view of solutions. 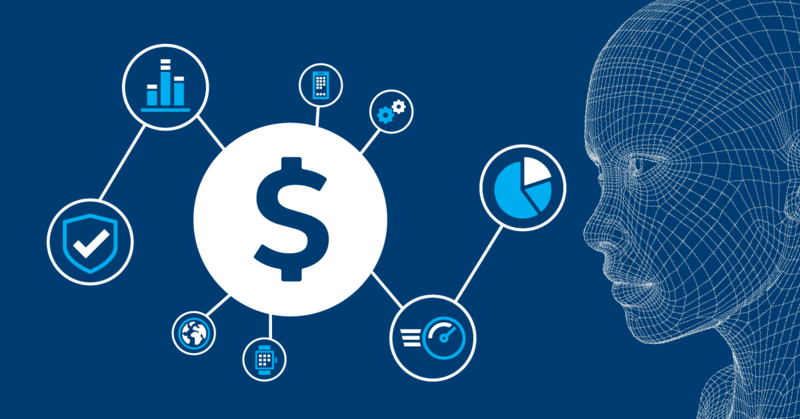 By implementing artificial intelligence technology, banks would see costs cut dramatically, along with improved functionality and increased offerings. But that’s only the tip of the iceberg of AI’s benefits to the world of finance. With the ability to find, gather, and analyze large amounts of data instantaneously then decipher those findings with brain-like intelligence, AI can detect points of compromise as soon as they occur, which will help in fraud detection as well as prevent the theft of funds and personal information. Companies like MasterCard and WorldPay have been using AI to detect fraudulent transaction patterns for several years now. Banks across the world, especially in Europe, have begun replacing older statistical-modeling approaches with artificial intelligence and cognitive computing technology. By adopting this sort of intelligent-computing program that can solve and even anticipate complex problems, some banks have experienced a 10 percent increase in sales of new products, a 20 percent savings in capital expenditures, a 20 percent increase in cash collections, and a 20 percent decline in churn. AI technology can even help with credit risk management by accurately predicting which customers are more likely to cancel service or default on their loans. Its data profiling analysis can determine if someone is of high or low risk by scouring through variables and values of relationships, co-factors, interactions, dependencies, associations, and more. AI even has the potential to pick winning stocks and investments by studying earnings statements, news reports, and regulatory filings in search of clues. With the automation of due diligence, anything is possible. We touched on MasterCard and WorldPay being at the forefront of the deep-learning revolution, but several other financial institutions are currently bringing AI solutions into their practices, too. Bank of America is launching an AI bot for its smartphone app sometime in the next year. Named Erica, the bot uses artificial intelligence and predictive analytics to learn your personal spending habits. It will also notice if you spend more than usual on certain products, offer ideas for reducing debt, give you tips for saving money, and alert you if something happens to your credit score. Capital One customers are enjoying new AI functionality, too, with the option to pay their bills using only voice commands. And PayPal announced plans to offer their payment services on the Facebook Messenger platform, all made possible by the implementation of artificial intelligence. Even historic financial businesses are evolving along with the younger banks on the block. One such example is Lloyd’s Banking Group, whose lineage reaches back to the late 17th century. They’ve recently partnered with startup Pindrop to use its AI technology in detecting fraudulent phone calls. Pindrop’s innovative software can identify 147 different features of a human voice from one call, then create a sort of audio fingerprint of that caller. The potential for AI continues to grow every day. The McKinsey Global Institute estimates that the economic impact of the automation of knowledge will reach $6.7 trillion annually by 2025. Artificial intelligence continues to gain momentum across the financial industry with the help of companies like Intel. With the tech giant’s acquisition of startup Nervana, Intel will release its new Application Specific Integrated Circuit (ASIC) named Lake Crest later this year. This processor is custom-designed and optimized for deep learning, which is a core AI technology inspired by the neural networks of the human brain. Intel plans to integrate the Nervana technology with its Xeon processors in a project called Knights Crest. And by 2020, it’s projected to increase performance by a factor of 100. Along with investing heavily in deep-learning solutions, Intel is also furthering its cognitive computing technology. They recently acquired Saffron, a leading cognitive computing platform provider. Although Saffron uses a different approach to AI than Nervana’s neural networks, its method of crunching big data analytics will streamline the work of high-powered servers as well as empower smaller handheld devices to see, sense, and interpret complex information in real-time. As you can see, artificial intelligence is no longer just the stuff of sci-fi movies. It’s all around us, and it will continue to expand, and learn, and grow smarter and more effective the further it merges human insight and deduction with automation and analytics. To find out more about how AI technology is transforming the world of banking and finance, visit Intel’s financial solutions hub. Mike Blalock is the General Manager for Intel's Financial Services Industry division. 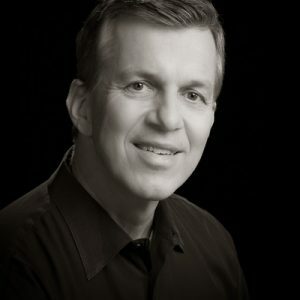 A global business leader with over 30 years of successful experience in technology and sales management, Mike is passionate about collaborating with partners to develop solutions that enable innovation and transform our world.